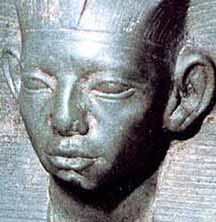 Amenemhet II was the son of Senusret I and one of his chief queens, Nefru. Like his father, he served the first three years of his reign as co-regent with his father. During this time Amenemhet II led a Nubian expedition. According to Manetho, Amenemhat II ruled for 38 years, a number which is generally accepted. The Turin King list is fragmentary at this point and only confirms 10 or more years. In view of the long reign of his predecessor, it is not impossible that Amenemhat II was already quite aged when he came to the throne, in which case a shorter reign is to be favored. The Oxford History of Ancient Egypt gives his reign as lasting from 1911 through 1877 BC, while Clayton gives it as 1926 through 1895 BC. Domestically, Amenemhet II failed in one important respect. Under the rule of his predecessors, nomarchs, who were basically the governors of the various nomes (provinces), had been personally appointed by the king. This was a measure taken to assure the centralization of government. The First Intermediate Period was at least partially caused the chaos resulting from strong regional rulers who destabilized this central control. However, Amenemhat II apparently allowed this important office to revert back to a hereditary position. The nomarchs soon took advantage of this change by adapting pretentious titles sometimes imitating those of the royal court. However, Amenemhat did keep a firm hand on these matters and appears to not let these local rulers forget their allegiance to the crown. In return for royal favors, they were expected to help protect the Egyptian borders, to undertake expeditions for the king and to generally act as his deputies. The foreign policy of Amenemhat II appear to have been a continuation of his father's. There is evidence of extensive trade with parts of the Near East, Mesopotamia and even Crete. Several Egyptian objects, among them small statues and scarabs, were found at several Near Eastern sites. Among them a sphinx of princess Ita, that was probably sent to Syria as a trading gift. Especially favored were the Syrian port of Byblos, where the native ruling elite even made short inscriptions in hieroglyphic, referring to Egyptian gods. The foundation deposits of the temple of Tod, dated to the reign of Amenemhat, contained objects of Mesopotamian and Cretan origin. Not all contacts with Asia were as peaceful, however, as is shown by raids of Bedouin, probably in the Sinai and some Egyptian military activity against two unnamed Asian cities. There was also at least one military expedition against Nubia and during his 28th year, Amenemhat II sent the official Khentikhetaywer as an envoy to Punt. Not many buildings from the time of Amenemhat II remain. A pylon at Hermopolis, in Middle Egypt and the foundation deposits at Tod are, along with his pyramid at Dashur, the only notable monuments that were left from his reign. The choice of location for his pyramid at Dashur, not far from the Bent and Red Pyramids built by 4th Dynasty king Snofru, raises the question why he did not build his funerary monument at El-Lisht like his father and grandfather. It is possible that Amenemhat sought to create a relationship between his dynasty and that of Snofru by doing so. The pyramid complex is poorly preserved and is mostly known because of the exquisite jewelry that was found in some of the tombs of Amenemhat's daughters, located in the forecourt of the complex. The jewelry included rings, braces, necklaces and diadems and shows the excellent craftsmanship of the era. From 1894 through 1895, Jacques de Morgan made a cursory investigation of the ruins. Unfortunately he was too focused on the jewelry finds in some surrounding princess' tombs that he never examined the mortuary temple, the causeway or the valley temple. In fact, no casing stones have ever been found nor even the base of the pyramid cleared for a proper measuring. Therefore, we are not sure of its size, the angle of its slop, or its height. The causeway, which was broad with a steep slope and enters the enclosure wall on the middle of the east side, has not been investigated at all, and we are told that the valley temple has not even been found. The core of the pyramid was built much like that of Senusret I's pyramid , with a core that had corners radiating out. A framework was made with horizontal lines of blocks to form a grid, or framework between the corners. Here, however, the filling was sand. The entire complex was surrounded by an enclosure wall that was much more rectangular then that found in older pyramids. It was oriented east-west. Behind the pyramid between it and the west part of the enclosure wall are found tombs of the royal family. 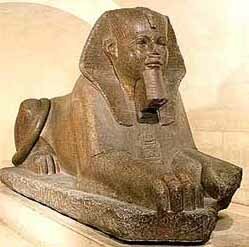 The belong to his other son prince Amenemhetankh and princesses Ita, Khnemet, Itiueret and Sithathormeret. Within these tombs, Morgan found the remains of funerary equipment, including wooden coffins, canopic chests and alabaster vessels for perfumes. But of course he also found wonderful jewelry in the tombs of Ita and Khnemet, that stole his attention. These pieces may now be found in the Treasure Chamber of the Cairo Museum. We have considerable knowledge of Amenemhet II's reigns because of a number of important documents. Some historical information about the 12th Dynasty comes from a set of official records know as the genut, or 'day-books'. They were found in the temple at Tod. Some of Amenemhet II's buildings also contain parts of these annals. They describe the day to day process of running the royal palace. One very important set of annuals were discovered at Mit Rahina (a part of ancient Memphis) that record detailed descriptions of donations made to temples, lists of statues and buildings, reports of both military and trading expeditions and even royal activities such as hunting. These documents not only provide information on Amenemhet II, but other kings of the period as well. Amenemhet II is probably best known for consolidating the work of his predecessors in foreign affairs. He exchanged gifts with other rulers in the Mediterranean (Levant) region. We find jewelry inscribed with his name in royal tombs at Byblos in Lebanon, as well as local copies of Egyptian jewelry. These items were particularly prevalent in the tomb of a local prince named Ipshemuabi. In addition, native rulers at Byblos even wrote short inscriptions in hieroglyphs, held the Egyptian title of count, and made references to Egyptian gods. They acquired royal and private statuary. On the other hand, four bronze boxes found at the temple of Montu at Tod and inscribed on their lids with the name of Amenemhet II bore a large number of silver cups of Lavantine and Aegean origin. There were also cylinder seals and lapis Lazuli amulets from Mesopotamia. These items were probably either a gift, or tribute, and it is noteworthy that at the time, silver was more rare then gold in Egypt, so also more valuable. One story during the time of Amenemhet II tells of the travels of a ship captain who had been to a magic island in the sea far south beyond Nubia. The sailor told the vizier (prime minister) about a tempest which arose suddenly and drove the ship towards a mysterious land. He suddenly heard a noise like thunder, and saw a huge serpent with a beard. Upon hearing that the sailor was sent by the pharaoh, the serpent let him go back, with gifts to "Amenemhet". It told him that it was Amon-Ra¹s blessing that has made this island rich and lacking nothing. Upon hearing this amusing story, "Amenemhet II" ordered it to be documented on a papyrus. The story is known to historians as "The Shipwrecked Sailor".